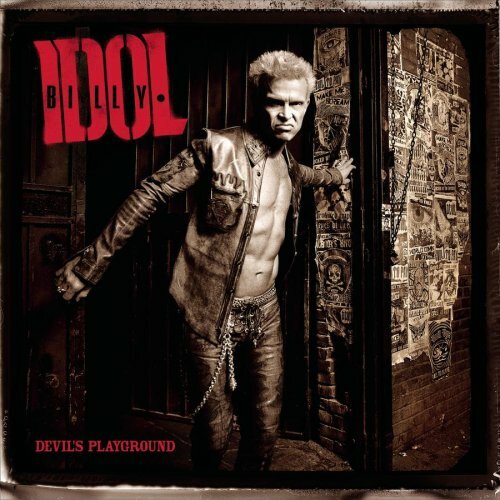 Although it has been years since Billy Idol last released an album, he remains surprisingly relevant in today’s music scene. With an excess of pop-punkers appearing over the last five years, it is only fitting that the original returns to teach the new kids how it’s done. Devil’s Playground borrows heavily from his earlier work and is by no means a career highlight, but it does have some decent songs. Idol holds his own, narrowly escaping the trap of self-parody that so many older artists fall victim to.Some tracks like “Cherie” and “Romeo’s Waiting” are exceptional rockers, while others like “World Comin’ Down” are utterly forgettable. “Scream” is essentially a mash-up of his earlier hits with new lyrics, but it is an irresistible throwback to a decade of leather and slashed denim. Idol is at his best when he sings about evil on the raucous “Body Snatcher” and lumbering “Evil Eye.” But, as with all other popular 80s acts, the cheese stigma is unavoidable and the slowed down, country-tinged “Plastic Jesus” and “Lady Do or Die” do nothing to reverse the problem. Apparently it’s Christmas all year round for Idol, who places “Yellin’ at the Xmas Tree” right smack in the middle of his record. This makes it impossible to listen to the album in its entirety unless, of course, you’re an elf. Unfortunately, for those of us in the non-elf population, this uncalled for Christmas cheer distracts from the rock. Not that this is a particularly cheerful carol (it tells the story of a boy whose drunken father spends the holiday, appropriately, “Yellin’ at the Xmas Tree”), but it still interrupts the flow of the album. Besides, sleigh bells just aren’t very punk rock. Christmas song aside, Devil’s Playground provides what listeners would expect from the ‘80s icon that brought us “White Wedding,” “Rebel Yell,” and a ridiculous cameo in Adam Sandler’s last decent movie, The Wedding Singer. While the lyrics aren’t anything special, the music is fun and Idol doesn’t take himself too seriously. His backing band is very good and the album is true to his style. Idol still delivers his vocals in such a way that listeners can actually hear his trademark snarl. It’s more of the same from a punk idol … but would we want it any other way?